Wedges can safely be called the goalkeepers for the game of golf. Like the goalkeeper saves the match for you, the wedges work on your short game and reduce the number of strokes and your scores, making them as essential as the drivers and the woods. This guide focuses on how to buy wedges, where they are used and which are the best wedges for mid handicappers. Which Is The Best Lob Wedge For Mid Handicappers? Loft: A loft is an angle between the Club face and the shaft. Higher loft ensures that the ball is launched higher, is more accurate and there is less side spin. Wedges have the highest lofts of any club. The lowest loft in a golf wedge is 45 degree and highest is 64degree. When the angle is between 7 and 10 it is called a standard bounce and it suited for all swing types and conditions. When the angle is greater than 10 degrees it is called high bounce and is ideal for fine sand and soft fairways. The angle of the bounce of 4 to 6 degrees is called low bounce and is preferable for hard sand and firm turf. Grind: To get the perfect bounce you need to know about the grind which controls the degree of bounce. It basically means shaping the sole of the wedge either around the heel or the toe to suit the turf or for specific shots. It is advisable to take the help of a professional on the type of grind that will help improve your game. No grind leads to blade shots while correct grind will make it easier to get under the ball and hit it as intended. Vintage finish: These wedges wear and tear normally and rust naturally. The only advantage is that they don’t glare and some players like the look of the club head. Laser etching: It maximizes spin. Steel shafts are ideal for those with a normal swing or a fast swing as they offer better control. They are stronger, durable and less expensive. Graphite shafts are lighter and ideal for beginners who wish for more swing speed. But they are not as durable as steel and have reduced control. The multi-material shaft is usually a combination of steel shaft and graphite tip. This gives better control and greater feel. To know more on shafts, click here. Not all wedges are same; there are four different types each with a unique function of its own. Pitching wedge: This wedge is used when trying to hit the green because it has a low loft. The normal loft is between 44 and 55 degrees. You should opt for this wedge when wanting little backspin and drop on the green. It can also be used for short chipping shots. Practice is essential to master the pitching wedge. Sand wedge: Not only mid handicappers but golfers of all calibers always carry the sand wedge because it is the most versatile of the wedge. When you swing the sand wedge hard the ball goes higher and also stops quickly. Sand wedges have a heavy head which is why they are useful in the rough and the sand. They normally have a loft of 54 to 58 degree. Lob wedge: For extra loft use the lob wedge. They are not part of the regular golf kits and must be purchased separately. They have a loft of between 60 to 65 degrees and ideal for shots that require precision, especially around the green. They are best suited for situations where the ball must rise high quickly. 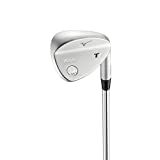 Gap wedge: This wedge fills the 8-degree gap between the pitching wedge and the sand wedge and is suited for distances that are too short for pitching and too long for a sand wedge. This is highly beneficial for all levels of players. The loft is between 46 and 54 degrees. They are usually used between 90 and 110 yards. They are not a part of the regular golf kits. 58 degree is ideal for mid handicappers. Do not be tempted to go for the 60-degree lob wedge which is more suited for experienced players and requires greater skill to use. For mid-handicappers, it is ideal that they use all the four wedges. You don’t have to gauge the distance within 100 yards and will have the freedom to make full swings on your shots. There are several brands of wedges available in the market but what is best for you may not be best for your friend because of the individual style of play, strengths, and weaknesses. Beginners and high handicappers needs are different from mid and low handicappers. Hence, keeping your skill level in mind and check out the shaft, loft, bounce, grind and grooves combination of the wedges suited for your level. Here we have listed the best wedges for mid handicappers. 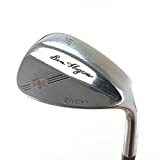 One of the most versatile wedges to hit the market the Ben Hogan Riviera wedges are suited to play on all turfs sand and soil and in all conditions. They are the best wedges to use daily. They are very reasonably priced and are value for money. The feel is good and the feedback instantaneous. They are very playable and there no lies that these wedges can’t dig the ball out from. The shots are nice and accurate. The spin is just perfect and the field of view just right. They are easy to hit. There is uncomfortable glare from the face of the wedge. The wedge digs into the ground at times. Retaining the renowned grain flow forged feel, the Mizuno MP-T7 is a modern-day wedge that an appealing tear drop shaped face. The makers have used the Harmonic impact to provide the perfect sound on impact which in turn will enhance the performance. The boron infused steel shaft improves the durability of the wedge while also increasing the speed of the ball. The aquatic cut grooves on the wedge provide ample spin anywhere on the greens and keep the debris away efficiently. The wedge is playable in rough and difficult situations. The launch angle and the trajectory are solid. Is expensive when compared to other brands with same features. Ping has updated its original Eye2 wedge and come back with the Ping Eye2 Gorge Sand wedge. Like all Ping products, this too has the characteristic Gorge grooves which provide spin and have ample stopping power. This is a standard sand wedge and has two loft angles of 56 and 60 degrees. It is one of the finest Pings around. A consistent performer as it is equipped with the right grooves width and radius for a steady shot. The Gorge grooves are precision-milled giving the wedge the unbelievable spin and stopping power and precise distance control. The perimeter weighting and sole contours make the wedge very forgiving. The high Moment of Inertia also provides a great control and unbelievable feel. No major cons to talk about. Talk about innovation in the game of golf and Taylor Made is one name that comes to the forefront. Consistently over the past decade, the brand has innovated and tried to make its clubs the most sought after for design and performance. In the same league is the TP XFT ZTP face wedge. Interchangeable face design: It allows the club face to be changed quickly without affecting the spin rates. 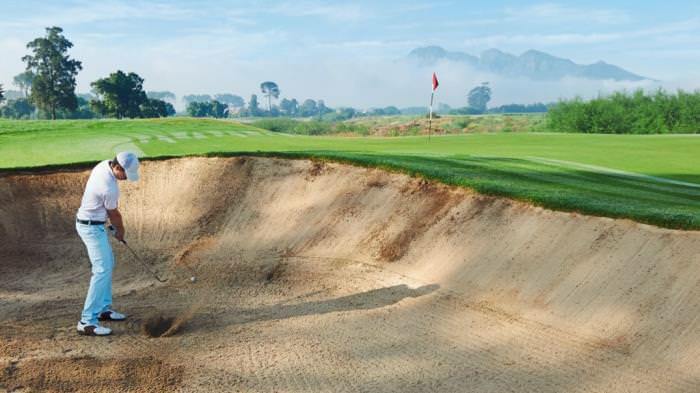 Playability: It is an all-purpose wedge that can be efficiently used on the greens as well as the bunkers. Distance control: The wedge provides consistent performance probably due to the fresh grooves. You have a good control on the distance and also a range of full shots from the grass. Feel: The feel is stable and the response is crisp and clean. Look: It is a nice looking wedge where the face insert is well disguised and not visible at address. The compact look and high-tech finish are attractive. Shot control: Due to the milling grooves, there is a shot control under a variety of circumstances. It is a good performer but there is no single outstanding strength to this club and there are no significant cons either. The Sole grind is a new concept from Wilson which gives players more options around the green. 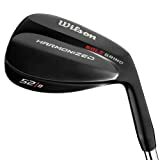 It is a great looking classic golf wedge that allows players to hit the ball with an open face thereby improving their performance. The product is a result of high-end technology aimed at provided high-quality performance. Innovate sole design allows the player to play high pitch shots with perfect accuracy and with an open face. It can deliver short game shots. The classic sharp blade is exclusively designed for novices as it aids in bunkers and rough fairways. There are three loft options. The design is aimed for beginners and not professionals. To play a good game of golf you need the wedges alongside the drivers and the woods. Do not go for clubs which your favorite player is using but choose clubs to suit your level of play and skill. From the above list of best wedges for mid handicappers, the clear winner is budget-friendly, durable, versatile and of good quality PING Eye 2. Golf is a game of perseverance and patience; hence, with the best wedges by your side improve your short game and reduce your scores. With practice and time, you will see yourself progress in the game. Just remember what is the shaft you use in your drivers and woods and as fast as possible stick to it in your wedges too.